diagnosis | MS is all about being MegaSpecial! MS is all about being MegaSpecial! My first experience of steroids wasn’t one I wanted to experience again! I was so frightened to take the tablets. I kept delaying, using work as the reason I couldn’t take them at that time. I had to cover at a different branch so I had planned to start them the weekend after I had finished covering at Knowle. This was an excuse, not a reason! It wasn’t until I experienced the loss of feeling in my feet and my MS nurse making it very clear to me how important it was to take the steroids that I started the course of tablets! The neurologist prescribed 10mg Omeprazole that I had to take before I took the steroids. These were to protect the lining of my stomach as Steroids can cause digestive problems. Anyone with previous gastric problems should take medication to protect their stomach. I have had problems in the past with my stomach and so would definitely need these tablets. I have since found out that this medication is always prescribed at my hospital for anyone who is about to undergo treatment of methylprednisolone (Steroids) for a MS relapse. When I saw that one of the side effects to the steroids was indigestion I was so worried about taking them. I had a bad feeling because of my earlier history of stomach problems. This was a ‘reason’ for delaying taking them not an excuse! I took my ‘pre’ steroid tablet (Omeprazole) easy! Next I opened the bottle containing the ‘high dose oral methylprednisolone’- steroids. I put out the palm of my hand and gently shook the medicine bottle until the tablets gathered in my hand. 5 tiny blue tablets taken all at once everyday for 5 days! To be taken with water or juice. That is all it said, no other specifications. Oh my the taste! As soon as I put the tablets in my mouth they started to dissolve when they touched my tongue! I had to find something, anything that I could eat or drink just to take the taste away! The next day I made sure I took the tablets with fruit juice not water! I have since been given a tip when taking the tablets, put them inside a bit of bread, small enough to swallow. That way you don’t get the vile taste in your mouth! After taking my first dose of ‘oral steroids’ I continued to get ready for work and headed over to Knowle, the branch where I was covering for the next few days. My partner took me as I have always gotten anxious driving to new areas especially when on a time restriction. The day went really well, in fact whilst I was taking the medication I felt good but only when I was distracted with work. I felt really positive and I think I performed better! The truth is, the steroids made me quite hyperactive during the day so when I got home the extreme tiredness hit me! I was in pain with my joints and my muscles were really tender. I remember feeling as though I had been hit by a steam train! The positive with the steroids was that I didn’t have any troubles sleeping at night! When my MS nurse asked me how my sleeping was she very shocked to hear that i had no problems! Although when she found out I was still working whilst taking them she didn’t seem impressed with that! I hadn’t realised it would be a problem! Looking now at what the possible side effects are I think I did quite well! So as you can see out of all the side effects, I suffered from the mild ones! The last day of my steroids was a Sunday. This is the day that I was originally going to start them! I woke in the night in absolute agony with my stomach! My partner had to phone the emergency doctors so I could be prescribed something to ease the pain. I knew why I was in so much pain, I had problems many years ago with my stomach that was investigated. The only explanation I was given after my tests was that I have a very sensitive stomach. This is why I reacted so badly to the steroids. When I was prescribed my steroids I was also prescribed Omeprazole 10mg, this wasn’t a high enough dosage for me & every time since then that I have needed steroids I have to be given twice the amount. We didn’t get any sleep that night and I was in no fit state to work on the Monday. I was due at my normal branch but would be working on my own as were so short-staffed. This meant that I needed to call the area manager to get someone to open the shop and cover me. I also needed to organise a way to get keys & the alarm code to who ever would be covering! I could hardly stand up because I was so worn out from the pain let alone organise all of that! I had to leave it up to my partner to do every thing. She also had to collect my medication that I had been prescribed and let her own boss know what was happening! All I really remember of that morning was sitting slumped in the passenger seat of my car. Waiting for my partner to get my tablets and leave my key in the café next to the shop for the woman who was covering for me. I have never slept for that long before! I was concerned incase I wouldn’t sleep through the night but I did! I wasn’t able to go back to work for the rest of the week. I felt not only as though I had been hit by a steam train but as though I had been through ten rounds with Mike Tyson! I not only felt exhausted from how the steroids were making me feel but because I didn’t listen to my body & rest! Never take steroids and continue to work! Take time out and do not ignore what your body is telling you! 16th installment: So, I have MS!? Well that was the last thing I thought it was. Until the Ophthalmologist said those two haunting letters to me I think I had only heard MS mentioned once before and I’m not even sure if I remember that correctly! I truthfully didn’t do any research about it, he told me not to! Besides I didn’t want to start panicking about something that probably never was! I was given so much information to look at, a big A4 sized envelope full of reading material so my family and I could learn all about what MS is! It all seemed so much to take in! I tried my best to read the information but it all seemed so unreal & actually very frightening! I found it incredibly tiring trying to read all the information! I was straining my eyes to try and make sense of the words, this was because the Optic Neuritis was blurring my vision. It had effected my right eye so in really my left eye was working over time to compensate. I was also able to go onto The MS Trust website and use their ‘A-Z of MS’ section to search for Optic Neuritis to refresh my memory! Optic neuritis is a common eye problem in multiple sclerosis. It is caused by inflammation or demyelination (damage to the nerve covering) of the optic nerve, which transmits the image from the retina to the brain. Optic neuritis is usually transient and associated with good recovery. The effects of optic neuritis, eg visual disturbance and pain behind the eyeball, are the first symptoms experienced by 25% of people with MS. 70% of people with MS will have optic neuritis during the course of their condition. Like multiple sclerosis itself, optic neuritis normally affects people aged between 20 and 40 and women more than men. The visual loss associated with optic neuritis is often in one eye only. It occurs suddenly, is progressive and usually reaches its peak after about two weeks before symptoms start to improve. Optic neuritis commonly causes blind spots or areas of poor vision surrounded by an area of normal vision. Colour vision can also be severely affected. Frequently there is pain, particularly during eye movement. Recovery takes from four to six weeks. Optic neuritis is sometimes treated with steroids. Optic neuritis is also recognised as a condition in its own right. Not everyone who experiences optic neuritis goes on to develop further symptoms of MS, but a significant proportion do. I had decided, mainly because of how stubborn I am, that I would focus all my energy on my job! Besides, I couldn’t take the time off , I was needed! My boss was on leave due to bereavement and I didn’t want to let her down! Another branch of the company I was working for was also having staffing difficulties, I had promised the manager that i would help by covering at his branch, this was before I had seen the neurologist, I couldn’t let him down either! This meant we were getting up extremely early & racing around so that she wouldn’t be late for work. I was arriving at the covering branch around 45 minutes early! Steroids don’t affect the outcome of a relapse – any difficulty or disability that might result from a relapse. Methylprednisolone, the name of my steroids I still hadn’t taken! But like I said, I was focusing on work! I had read the side effects and I just couldn’t take time off! It was the first evening after covering at the Knowle branch and I lost the feeling in my right foot! How scary! The next day I still couldn’t feel it properly as I had been told by Sylvia (the MS Nurse I had met) if anything like this happened I was to phone the umber I had been given for the MS Nurses & leave a message, so this is what I did. I received a phone call later in the day from Sylvia, I explained to her how I had lost the feeling in my foot. She asked me how I was getting on with the steroids, I explained to her that I hadn’t started them! She was not impressed with that! This is why I was loosing feeling, because the relapse could possibly have been getting worse! I agreed with her that I would start taking the tablets! I didn’t stop working though! I didn’t think I would need to! Ha! How wrong I was!……. Once all the tests where complete and I apologize for not remembering them all but there were such a lot, Dr Shehu handed me over to the friendly nurse who finally introduced herself as Sylvia one of the ‘MS nurses’ at the hospital! She explained that I was extremely lucky to have been given a double appointment with Dr Shehu and herself as they normally take place on separate days. She handed me a large envelope which I would have received in the post and explained that I would have then been invited back on a different day for the next appointment, the one that I was in right at that point! In relapsing remitting MS, people have distinct attacks of symptoms which then fade away either partially or completely. Around 85 per cent of people with MS are diagnosed with this type. The relapsing remitting label can help to explain MS to others and help you to find the best treatments. But it can’t predict exactly how MS will affect you. She explained to me what MS is and I was given a handful of pamphlets to take away and read! It was a lot to take in and I felt lost and confused! MS is the most common disease of the central nervous system affecting young adults. The central nervous system comprises the brain and spinal cord. Together with the nerves connecting to the rest of the body, they form the body’s communication network. Nerve cells (neurons) contain nerve fibres (axons), which are surrounded by a protective sheath of fatty protein called myelin. This protects the nerves in the same way that insulating material protects an electric wire. In MS, damage or scarring occurs to the myelin sheath. This damage (called demyelination) disrupts the way in which messages, or nerve impulses, are carried to and from the brain and so can interfere with a range of the body’s functions. The term ‘multiple sclerosis’ comes from ‘sclerosis’, which means ‘scarring’ and ‘multiple’, which relates to the sites of the scarring, which can occur in different places throughout the brain and spinal cord. The symptoms experienced depend on the position and extent of the scarring or lesions within the central nervous system and on how much damage has occurred, so no two people with MS will have exactly the same set of symptoms. In the earlier stages of MS, the central nervous system can often repair areas of damaged myelin or reroute messages via different pathways of neurons thereby avoiding the damaged areas. This explains why episodes of symptoms (relapses) can be followed by weeks, months or even years when symptoms improve or disappear (remission). However, if the area of damage becomes too large, communication with that specific part of the central nervous system may become permanently blocked. What are the common symptoms at the time of diagnosis? The cause of MS is not yet fully understood but is thought to be a combination of environmental and genetic factors. One theory is that some people have certain groups of genes that make them more likely to develop MS. It may be that an external factor, such as a virus, triggers a reaction in those with this genetic predisposition causing the immune system to malfunction and attack its own myelin. She went on to explain that they believed I was in a relapse which is why I had lost sight, sensation to touch and was also experiencing problems in my left arm and shoulder. In my opinion no treatment was not an option! I decided to have steroids to reduce the inflammation. Then I had to decide if I wanted to have the 3 day intravenous course of steroids as a ‘day case’ or the tablet form which was a 5 day course and I wouldn’t have to go into hospital every day for 3 days. The thought of the ‘day case’ intravenous steroids terrified me! At that time the thought of having to sit in a room full of strangers whilst connected to a machine pumping drugs into me was not a nice thought at all! I went for the tablet form, it couldn’t be that bad surely! “I can take tablets easily and doing it this way I don’t have to take time off work!” I remember thinking to myself! NICE says: “Any individual who experiences an acute episode (including optic neuritis) sufficient to cause distressing symptoms or an increased limitation on activities should be offered a course of high-dose corticosteroids.” NICE also recommends that steroids should not be given more than three times in any year, and a course of steroids should last no longer than three weeks. Steroids are powerful drugs. They often get a bad name in the media because of their association with athletes and body-builders who use ‘anabolic steroids’ to boost their performance and ability. These are not the same as steroids used to treat MS. Used correctly, steroids can be a very good treatment for different conditions, including relapses in MS.
My Dad took the prescription from the Neurologist who was still in the room & went to collect the tablets from the pharmacy before they closed. The appointment came to an end. I was told to take the tablets in the morning along with another tablet that was prescribed to protect my stomach. After my Dad returned we made our way to the car, all very quiet. What could be said! I think we were all in shock! Please note that i don’t remember all of this day exactly, its hard to remember everything when you are being bombarded with so much information! Some of what I write may not be exact but I will try my best to get it right! It is too hard for my partner to have to remember all of these events and I don’t like to ask other people so I’ll plod along as best I can! I sat waiting with my partner and my Dad, waiting for someone to call my name, waiting to be given an answer to the biggest question I had hanging over my head! None of us spoke, we just sat, watching, watching all the other people who sat waiting, they were also waiting for answers. Everyone’s answer would be different. We weren’t all there for the same reason. I looked up and a nurse called my name for the second time. I stood up & walked towards her, she had a very gentle voice and a kind forgiving face. I had a nice feeling about this lady. I noticed how I felt calmer, I felt at ease. Why did I feel like this now when only moments before I felt like my heart was going to pop out of my chest it was beating that hard! I followed the nurse into a consulting room where another woman sat in a chair behind what looked like a giant desk! When I was in the room and sat in a chair next to the desk I realised that it wasn’t the desk that was huge, it was the woman that was tiny! She went through some of my medical notes with me and explained that she would be doing some neurological tests and asked me to make my way to the bed and sit on the side. The lady Dr stood up and started to walk towards me, my goodness she was tiny in stature but huge in width! She was pregnant and looked as though she hadn’t got long left until due date! I sat there in my own world again! I do this often! I often take myself into dream world when I should actually be concentrating on what I am being asked or told to do. I just sat there on the side of the examining bed with my feet dangling just thinking do I take these trainers off? I couldn’t remember if I was asked to! How odd is it that I can remember useless facts like this but not all of the tests that were done! When the Dr got to me she started the tests by checking my vision, I was still blind in my periphery vision, I think I had started to get used to it if that was at all possible! The Dr asked me to follow her finger with my eyes but to keep my head still, as I did this and she moved her finger to my right periphery, I lost site of her finger. She asked me to continue to look there and not move my eyes. Well, this seemed to be impossible! Every time I strained to keep my eye still it pulled back to the left! This was an extremely strange sensation! It felt so odd, as though I had no control whatsoever. I started to get upset so the Dr went onto a different test. It seems such a blur all the tests she did and unfortunately i just can’t remember them all! We moved to a different room when that Dr had finished doing her tests, again the friendly nurse followed us all into the room and sat at the end of the bed. There was a happy looking Dr sitting at a desk, he stood and introduced himself ‘Dr Shehu’ I shook his hand and sat down next to the desk. He sat and looked through my notes and asked me to explain to him my symptoms, I told him exactly what was written in my notes, I lost vision in my right eye! He asked me to take off my shoes and socks and to lay on the bed. At this point all I could think of was ‘that’ appointment with the neurosurgeon! This time I didn’t have to strip down to my underwear, he draw the curtain around us and that lovely friendly nurse was right at the end of the bed! He continued with even more tests, some which the pregnant Dr had already done and some new ones. The sensory test is one that I remember, it involved the testing of the main parts of my body – face, trunk, arms, and legs – for differences in sensation. Sensitivity to touch was tested by the Dr simply by touching my skin and sensitivity to pain was tested with a pinprick. I was surprised with how little I could feel! It wasn’t something that I was aware of! After all I was here because I had lost sight in my right eye, right? Once all the tests were complete Dr Shehu then handed me over to the friendly nurse that had been following us around…. I think this may be a short blog because I would actually rather forget this part of my journey! It may be hard for people to comprehend that this was a worse time for me than any other during the build up to my diagnosis but this is me! It was time for my neurological surgeon appointment! 3rd August 2010, a date I thought I would have forgotten but unfortunately for me (not for this blog) the appointment is in my old phone diary I have previously spoken about! Thank goodness for technology right! I was incredibly nervous about this appointment, luckily my partner was with me as she always is at all the important ones! It was an early appointment, so not much time to worry about the unknown! I remember sitting in the waiting area, dry mouth, heart pounding! We all get anxious waiting to see a consultant! This is what I was telling myself! All I could think about though was the word surgeon! I was terrified of it & the thought about the possibility of having to have an operation! When I broke my leg at the age of 18 I remember crying all the way to surgery! It is such a frightening experience that so many people face everyday! I was lost in my nightmare I had created about this appointment when my name as called! It was time! I really was terrified! The consultant introduced himself & asked me to take a seat. I won’t say his name because 1: I can’t remember it & 2: I disliked him as soon as i shook his hand! He took a look at my medical notes & asked me why i had come to see him. Surely he should have that information! I explained to him that I had been referred by my physiotherapist for an MRI which showed a ‘disk bulge’ at the top of my spine that was close to touching my spinal cord. My Dr had then referred me to see him, the neurosurgeon in front of me that had all this information in front of him! I explained to him that I had also recently had an MRI because of problems with my vision which showed that I may have MS. He asked why I was still seeing him then? Huh! I told him that I had to have more tests done & I was told by my physiotherapist to keep this appointment as he, the neurosurgeon would know more! He then mumbled into a dictaphone that he was holding in his hand, exactly what he said is not known! He said something to a nurse that was in the room and then told me to sit on the bed. He drew the curtain around & told me to take all my clothes off except underwear and lie on the bed! I had no sheet or towel to cover me, no gown to put on. Just open to this man! The nurse had stepped outside which also unnerved me! When the nurse came back into the room she still stayed the other side of the curtains! I had a number of tests, I can’t remember all of them exactly, but I think they were all mainly neurological ones! I remember he tested my reflexes. This is one test that I really don’t like! When he finished he told me to get dressed and sit back on the chair. He continued to mumble into his dictaphone then looked at me and told me I had wasted his time! He said that the disk bulge was of no concern and that it is because of the MS that I have the pain! There was nothing left to be discussed, he didn’t want to discuss anything else more like! The nurse escorted me & my partner out of the room and we made our way back to the car! Of course we spoke about the situation, we came to the conclusion that I wasn’t wasting his time because I was told by the physiotherapist to keep the appointment! She must have thought it was worth following through! After we had finished talking about the horrible man and his horrible habits i told my partner that I was glad the disk bulge was of ‘no concern’ as it meant i didn’t need to have it operated on after all! I was elated by this! How come I found this so funny? Was it genuine laughter or nervous laughter? I hadn’t long to wait now until the next BIG appointment! It was the middle of July 2010 when finally I had my appointment letter come through for the Neurology Team at University Hospital Coventry, 11th August 2010 at 3pm! That wasn’t a date that I would forget quickly! It was the day after my Granma’s birthday! I was still going to work and had to cover at different local branches which meant a lot of travelling! This was really tiring and hard as my vision was starting to get a little worse every day, I still had pain behind my right eye and continuous headaches. I wasn’t getting the flashing lights as much but it was getting harder to see out of my right eye! I had no sight at all in my right peripheral vision which meant every time I wanted to look to the right I had to turn my head. This wasn’t the best of things for me to do because when ever I tried to turn my head I would get a pain shoot down my left arm. Much like an electric shock feeling! This is what I was seeing Catherine my Physiotherapist for! Catherine had decided that because the manipulation she was doing on my shoulder area wasn’t helping with my pain she was going to try something different. She explained to me that acupuncture has been known to help with pain and suggested we try it. I have had acupuncture treatment before, when a married couple bought our family Health Food & Ethnic Fashion Shop ‘Way Of Life’ They kept the Health food side and turned the Fashion side into Holistic Treatment rooms. The new owners (Husband & Wife) were the main Acupuncture Consultants and offered the remaining treatment room for hire. I was ‘kept on’ as Manager of the Health food side and took bookings for the treatments that were offered. This is when I tried Acupuncture for the first time. I wanted to be able to tell people about the treatment from a ‘firsthand’ point of view. I loved it. It isn’t as scary as most people think! Okay, they put needles into different areas of your body depending on the treatment but they are tiny, hardly hurt and are quickly forgotten once you start to feel the benefits from them! Because I knew the benefits of acupuncture first hand i was very keen when Catherine mentioned it. My only concern was having to change physio’s! Meeting new people used to make me very anxious! But this wasn’t the case as Catherine was also a fully trained, fully qualified Acupuncturist! My luck was in! A new appointment was booked for my first acupuncture with Catherine. Even though I had had it before I was still extremely anxious about the appointment! I remember thinking how much worse my anxiety would have been if it was with someone new! Even though Catherine used a different technique to the one I had experienced before with the heat I still found it extremely relaxing and by the time she had finished I noticed that the pain wasn’t as bad! Bliss! We agreed on another appointment, Catherine said she was happy to continue seeing me until I knew more from my Neuro Surgeon appointment and of course the ever looming appointment with the Neurology Team at University Hospital Coventry! My memory tends to be quite good if I can link something memorable with a time! I asked a close friend if she could remember when we went to see P!nk at the ‘Richo Arena’ (what was the Coventry Football Stadium) but she wasn’t sure. I remembered I had an appointment the day after the concert because I also remember being so tired for it! So being the stubborn person I am, I didn’t give in and Googled it! Thank you every one for patiently waiting for this, my 8th instalment. My aim is to inspire & be inspired, to continue to be strong & continue to be confident! I may be slow at blogging but that is only due to my MS. As with everything, I’ll get there eventually! The journey home from that trip seemed to take a lifetime! We didn’t hold much conversation as we knew what we had to do when we returned. Once we had taken our caravan back to the holding we went straight to the vets to collect Jake’s ashes! When home we did what most do, check through the post! We had only been away just over a week and yet there was so much post! One for me from ‘University Hospital Coventry’ my first thought when I saw the envelope was ‘Oh yeah! The MRI scan!’ I had honestly forgotten all about it since receiving the phone call, the one from the vet when we were on our walk in Somerset! I opened the letter, it was an appointment to see an Ophthalmologist whose name seemed very familiar but I couldn’t place it. Unfortunately the appointment was whilst we were away! I had missed it! I started to feel very anxious! My partner read the letter and phoned the number on it. She managed to re-book the appointment for the same week. Apparently the person she spoke to was very understanding and pleasant! The day of the appointment I really didn’t know what to expect! I was anxious but only the normal anxiety I get when going to any appointment! I had found out why the Ophthalmologist’s name was familiar, he was a locum optometrist at one of the branches where I worked! Although I had never met him I felt comfortable because we had something In common! We had the normal ‘chit chat’ that you might have in any appointment, I bought up that he was a locum at the same company that I worked for, which made the appointment feel much ‘lighter’ and less clinical! It’s not surprising that I only really remember one thing from the appointment! He spoke to me very relaxed, maybe that’s why I reacted the way I did! Thank you every one for patiently waiting for this, my 7th instalment. After the massive trauma of loosing our boy ‘Jake’ we had to decide what we were going to do about the caravan holiday we had booked. Were we to stay at home where the memories would be painful or were we to take a slow drive to collect the caravan and make our way to Somerset? It really was a horrible decision but after hearing our youngest dog ‘Ollie’ pinning for Jake we thought it would be good for all of us to have a change of scenery. We felt a little concerned about what people might think of us but it was our decision to make and it turned out to be a holiday full of memories! As we were newbie hikers with all the correct walking gear we said that we would take it with us so we could do a lot of walking and it would be for Jake! We took some of his fur with us and left a bit of him in all of his favourite places, this even included the stream that he loved to swim in just outside of the campsite. We literally walked miles! Even though Porlock was a regular place that we visited for our holidays we had never actually explored it much on foot before! It felt like a real adventure for us, we bought some ordnance survey maps of the local area & chose the routes along scenic paths. The shortest walk was around 9 miles! We certainly made the most of our time away! We even talked about looking at properties there, after all we knew we were definitely selling our house! We didn’t make any appointments to look at properties but the seed had been sown! We were about four days into the break and our friend came to join us for the weekend. Unfortunately he didn’t bring any proper walking gear, so we carried on visiting our favourite areas by car. This was fine by me as a lot of the places we love were a bit too far to walk and by this time I was starting to get a slight limp because of the pain that started in my hip just before our holiday started. We spent our evenings walking the lanes close to camp, not too far because of my pain and we didn’t need to go far for what we wanted to do! For one of my birthdays I was given a ‘bat detector’ and an evening course learning all about the different species of Bats and how to use Bat detectors, we even went for a walk to hear the bats if we were lucky to find any! I am very passionate about nature with Bats being one of my favourite creatures! I find them so fascinating! I can only describe the feeling as a great ‘buzz’ when I see a Bat and hearing them as well is incredible! My partner was given an extremely powerful touch for her birthday so she could see Bats even from a great distance! We used to laugh about it as it could so easily be used as the bat light for ‘Batman’! I remember we met a couple on the camp site who came with us on one of our ‘bat walks’ it was so nice to share the experience . The night they came with us was fortunately one of the best nights. They loved the experience with the bats and to learn so much about them! At the end of the weekend it was time for our friend to go home. Once he had gone we felt so lost, we didn’t know what to do with ourselves! The next day we continued with our walks, again using the maps we had brought. I’m not sure what day it was, all I remember is being half way up a wooded hill when the phone rang! It was the vets to let us know that Jake’s ashes were ready to collect! Gulp! We weren’t expecting that! We should have! We turned around and walked straight back to the caravan, packed everything away and left the next day! We just wanted our boy back! Thank you to everyone for patiently waiting for this my 6th instalment! Concentrating so much on my career took my mind off the fact I was waiting for the MRI results for my eye problem. The thought of seeing a neurosurgeon was still very fresh in my mind though! It was at this exact time of year, four years ago that what I am going to write happened! I am not telling you all of this as a pity plea, I am sharing this with you as the ‘stress factor’ is relevant. Our house was still on the market and we were getting a lot of interest buss hadn’t received any offers yet. Every time someone came to view the property I used to take our two Labrador’s out for a walk. I had noticed that I was starting to get pain in my right hip and was walking slower than normal. When I say slower I mean that I was probably walking at the same speed as someone else’s ‘fast’. I loved to walk and the faster I could walk the happier I would be! I was never someone who liked to jog as the jolting was very painful on my Right leg, the one I had broken in 1999. So the next best thing for me, speed walking! I also noticed that I wasn’t the only one that was much slower and in pain. 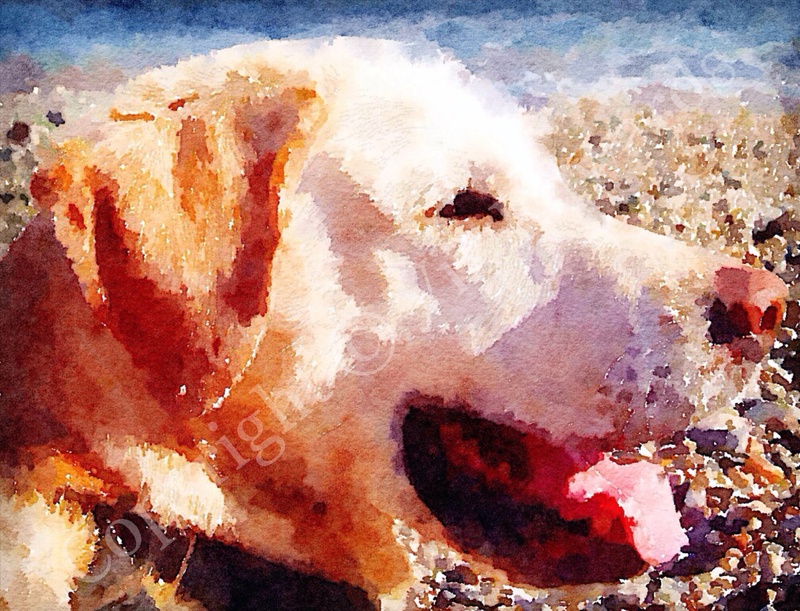 Our oldest Labrador ‘Jake’ was becoming very weak on his back legs and many times he would just stop. I always told my partner about what happened when I walked the dogs but the matter of Jake wasn’t a subject that we wanted to discuss! We had a phone call from our estate agent to let us know that the house we were hoping to buy, the one we were selling our house for, had been taken off the market! Gutted! That’s the only word to describe how we felt! It was time to make a decision, take our house off the market or start looking at other houses! We decided to keep our house on the market and to find another house to fall in love with! Isn’t selling a house on the list of most stressful things to do! It was only a few days away from a short caravan holiday we had planned and my partners Birthday. It was time to switch focus yet again, start to pack and prepare for the upcoming week! That’s the thing with me, I always need something to focus on to take my mind off tough times! We were really looking forward to the holiday in our little caravan that we bought in 2009. Our usual pitch had been booked at ‘Burrowhayes Camping & Caravan Site’ in West Luccombe, Porlock, Somerset. We used to go there every year with our tent until we got our ‘Alivan’ (caravan) Many a good holiday was spent there with the dogs! It was on my partners birthday in 2010 (the day before the holiday) that Jake got distinctly worse! He was at the stage where he couldn’t stand without his back legs giving way! Such a sad thing to see when you know there is nothing you can do. I can’t type much about the next thing that happened because it is still painful 4 years later.